During the 19th century, the Martin Brothers made a series of decorative "grotesques" at their pottery in Southall, Middlesex. Today they are prized collectibles, some selling for six figures. Reviving a beloved tradition, the Burslem Pottery in Stoke-on-Trent, Staffordshire, is creating inspired art pottery from high-fired stoneware. Designed by Andrew Hull, each quirky two-piece creature is hand-cast, hand-painted, and hand-finished. 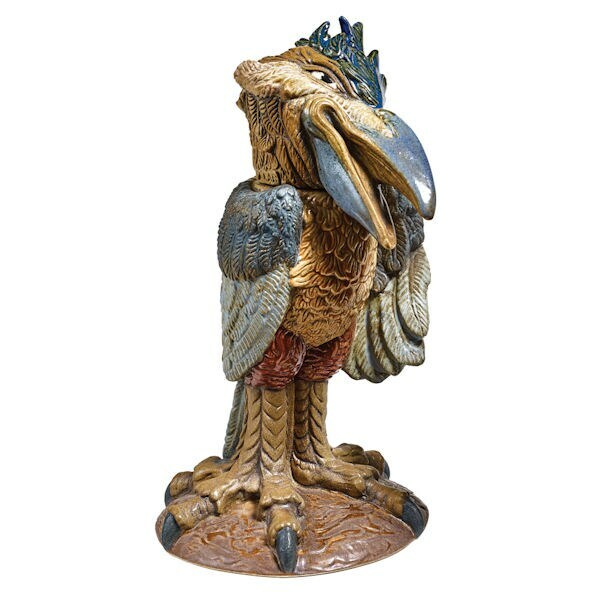 The Stenographer (XB1766) is about 6" high; Archie (XB1776) the kingfisher about 8 ½" high. Made in the UK. Sold separately.